Budgetary constraints. Detachable keyboard base? Check. 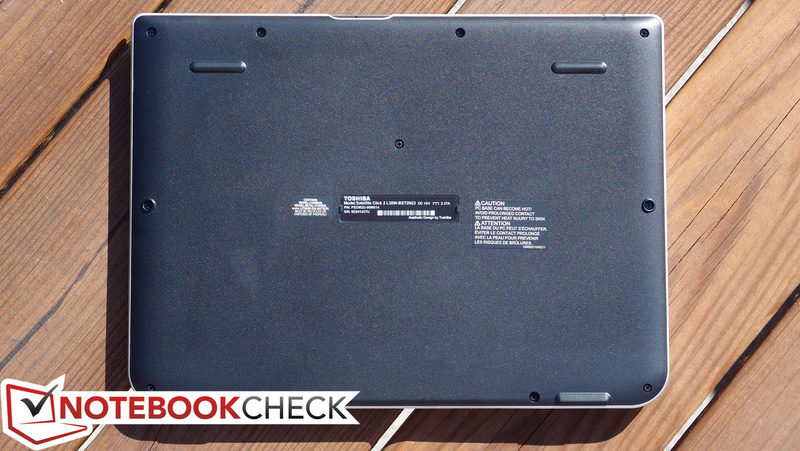 IPS touchscreen, svelte metallic casing, Windows 8.1? Check, check, check. 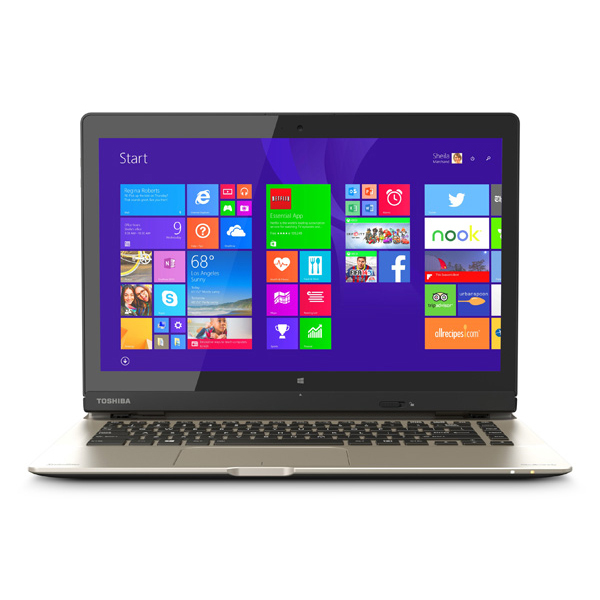 It all sounds enticing, but it’s what Toshiba had to cut that sends the Click 2 along an uphill battle. As manufacturers race to present their candidates in the detachable convertible segment, we’ve seen a number of truly intriguing options arise in recent months. From the Dell Venue 11 Pro all the way to the Microsoft Surface Pro 3 tablet, there are a host of devices flooding the market with removable keyboard bases, many which also include various other bonuses such as additional ports and integrated secondary batteries. 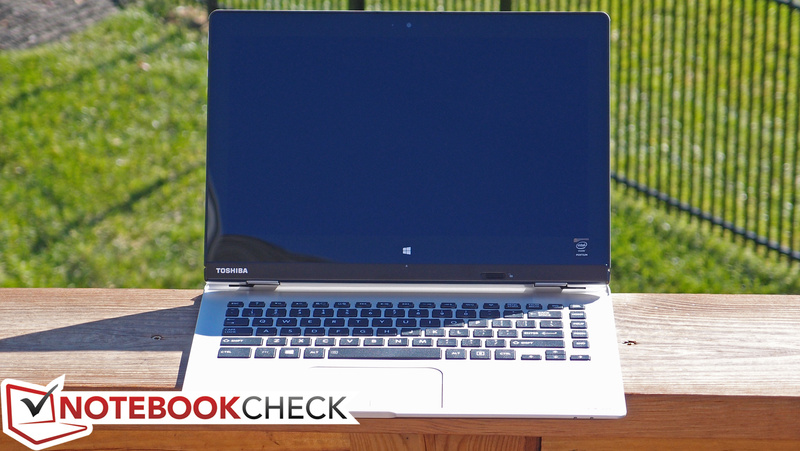 Toshiba’s latest crack at this segment is the Toshiba Satellite Click 2 series of machines. 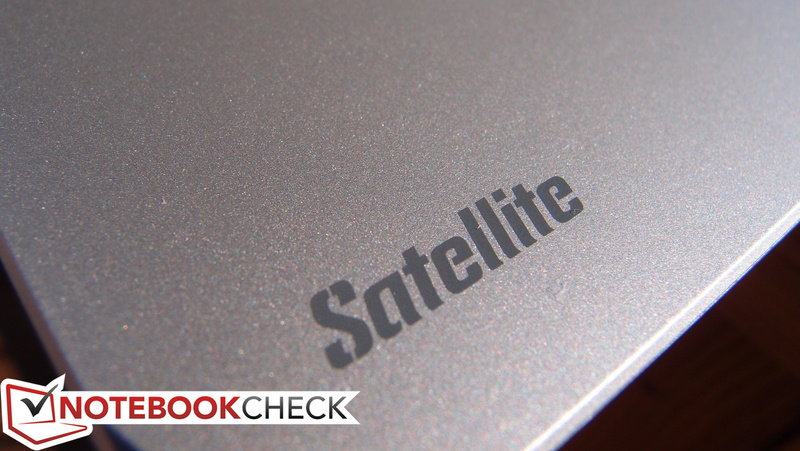 This includes updated versions of the manufacturer’s Satellite Click W35Dt—a device which was generally pretty poorly-received due to its slow performance (with just an AMD A4-1200 APU and 5400 RPM hard drive) and bulky design (roughly 2.2 kg with the keyboard dock attached). The new Click 2 series improves upon its first-generation predecessor with two different options: the business-targeted Click 2 Pro and the consumer-grade Click 2 (which is what we’ll be evaluating today). The differences between these two options are significant: not only is the Click 2 Pro nearly $1,000 more expensive (MSRP), it also features far more powerful parts (and, consequently, is actively-cooled), a much better screen, a sturdier case, and a primary solid state drive. 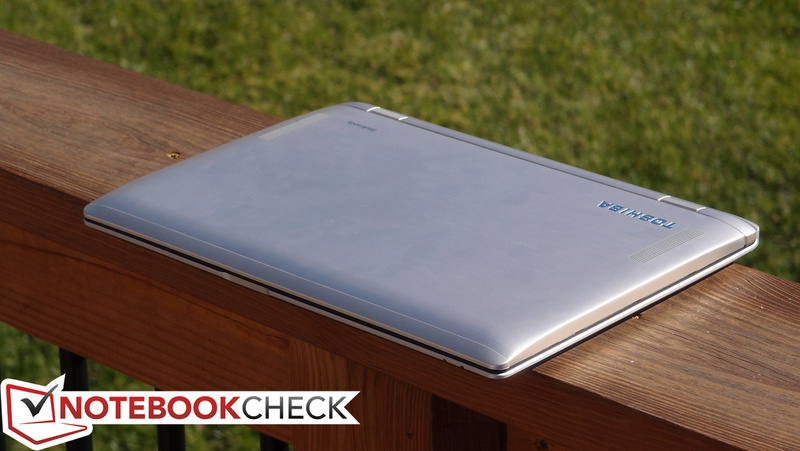 By contrast, the Click 2 we’re reviewing today (MSRP $699) is outfitted with a modest Pentium N3530 CPU, a 5400 RPM hard drive, and a 13.3-inch 768p IPS touchscreen, coupled with a generous helping of 8 GB DDR3L RAM. Both machines also boast upgraded case designs over the original Click W35Dt. 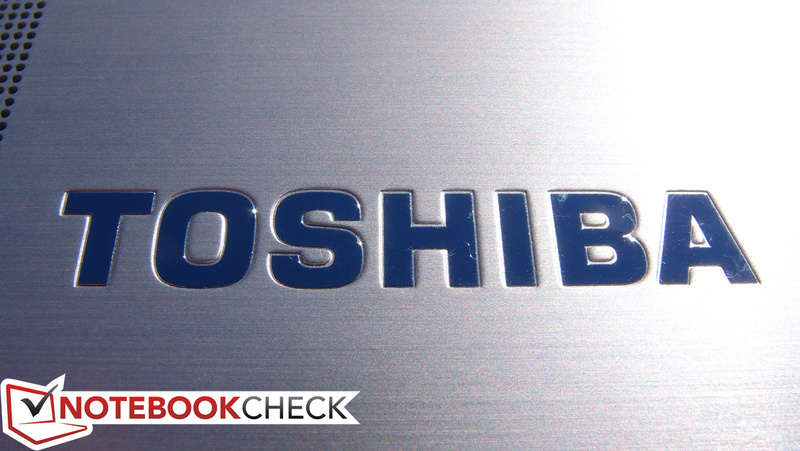 Is it enough to propel Toshiba’s Click 2 series into the mainstream convertible conversation? 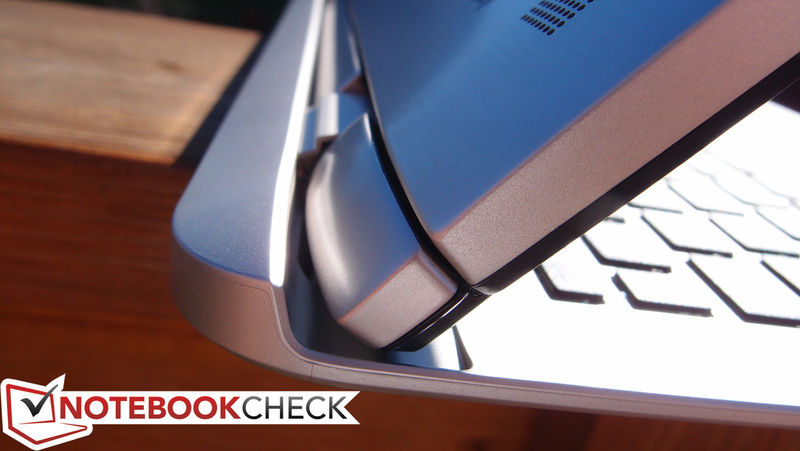 With its brushed aluminum display lid finish and attractive silver palmrest, the Click 2 is a fairly good-looking device. 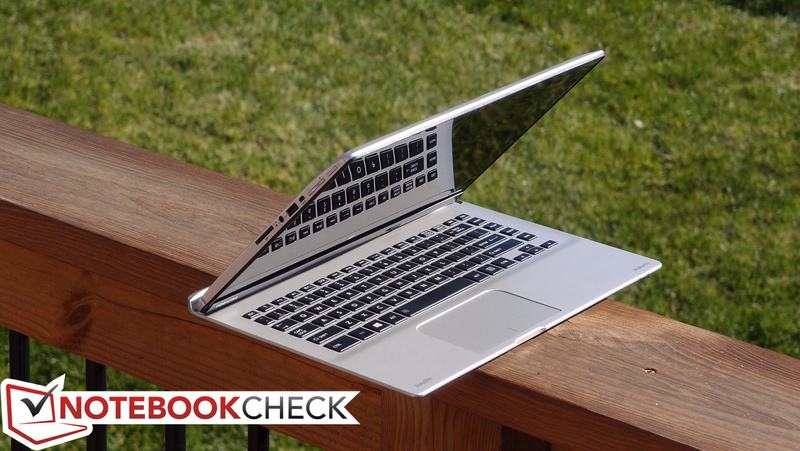 Sure, it lacks the svelte flair of a high-end Ultrabook, but the clean styling of the machine is appreciated and helps to separate it from other budget models. 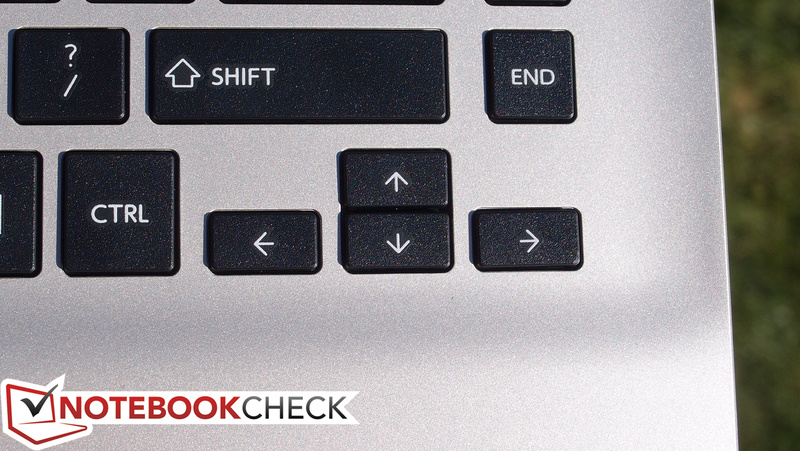 Unfortunately, the devil’s in the details, and beyond the initial impressions, the Click 2’s design suffers from a number of fundamental drawbacks. For starters, the case has barely improved in terms of its portability. Many leading detachable convertibles manage a total weight just above the 1 kg mark with their bases attached: take, for instance, the Microsoft Surface Pro 3, with a total weight of 1.108 kg, or the Dell Venue 11 Pro 5130 with just an 11-inch screen, but which also includes a secondary battery in the keyboard base—and yet still weighs just 1.436 kg. By comparison, the Click 2, with its 13.3-inch display and bulky 23 x 331 x 246 mm (H x W x D) case, slogs onto the scene with an unwieldy weight of 2.11 kg—nearly double that of the Surface Pro 3 and far above many conventional Ultrabooks, such as the Dell XPS 13 (1.374 kg) and Asus Zenbook UX32LA (1.45 kg). Considering that the tablet half alone weighs 1.122 kg (nearly 30% more than the already quite large Surface Pro 3), it’s difficult to identify the benefits of choosing Toshiba’s detachable model over that of conventional Ultrabooks—pricing differences notwithstanding, of course—as improved portability is certainly not among them. Another side effect of the tablet’s proportion of the total weight is that the keyboard dock isn’t ideally sturdy. Nevermind that the plastic bottom exhibits flex when pressure is applied (with the bottom corners most easily warped); this probably isn’t a major issue in terms of durability while in transit since the unit is meant to be carried with the base attached anyway. 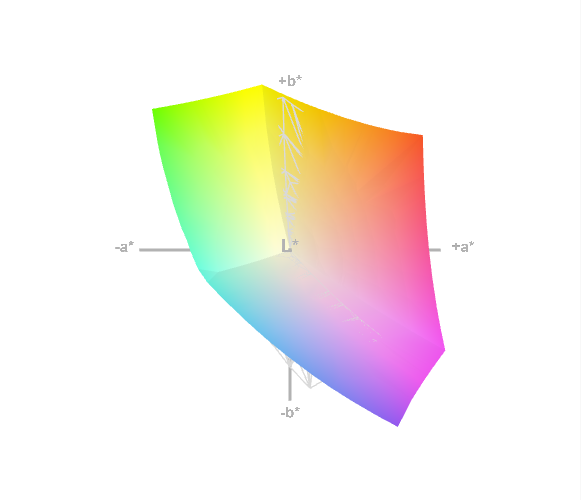 Instead, the underlying implications in terms of weight render it a victim of the same balance complications as many of its competitors: that is, that the screen is heavier than the base. As a result, even in spite of the design changes which have brought the tablet (along with its center of gravity) closer to the front of the base, the Click 2 still feels somewhat unstable on one’s lap while in use, and it’s also not possible to open the unit one-handed. 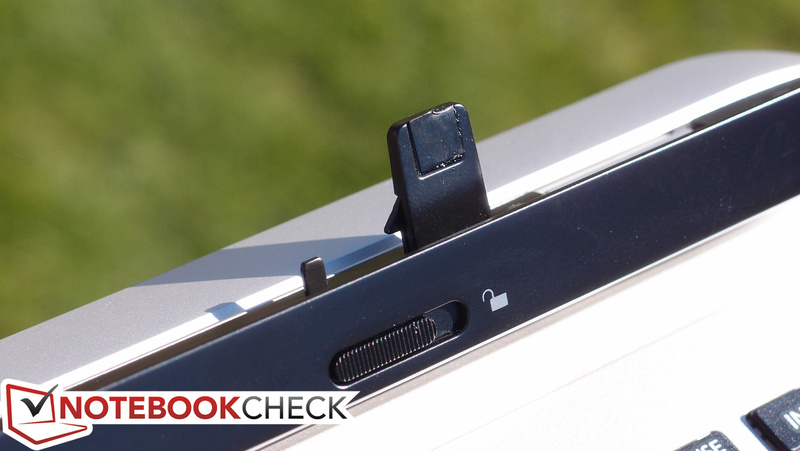 The tablet mates with the base via two metal prongs surrounding a central metal docking connector, all located along a large, sturdy central piece which spans the width of the base between the hinges. The procedure to connect and disconnect the tablet is unnecessarily challenging at times, however, thanks to the lack of any sort of supplementary guides or magnets along the bottom of the tablet and a rather rudimentary ejection mechanism that requires the user to yank the tablet off the base to separate them (ideally using two hands). Finally, the hinges fail to dispel the vibrations associated with tapping and typing, which results in a wobbly screen with irritating reflections throughout. 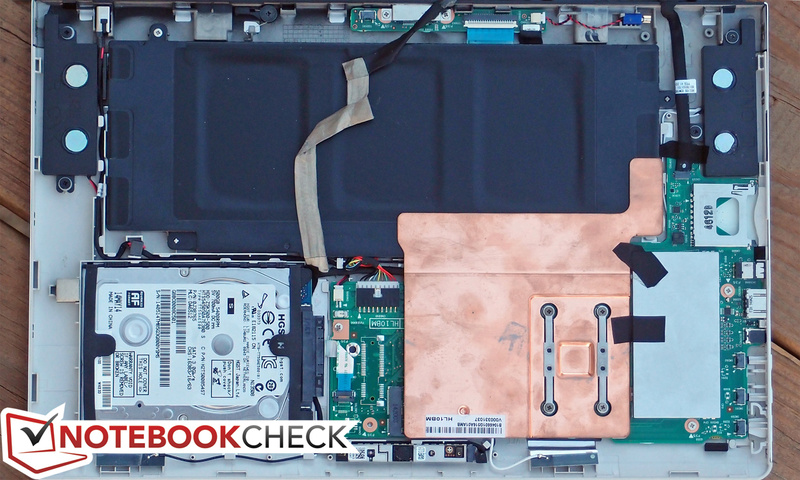 On the subject of maintenance, the Toshiba Click 2 isn’t meant to be serviced by the end user, but it’s possible with a bit of care and some fingernails. On the other hand, there’s not a whole lot that you can do once you’re in there anyway: just a hard drive (7 mm height) and a battery that are relatively easy to replace. 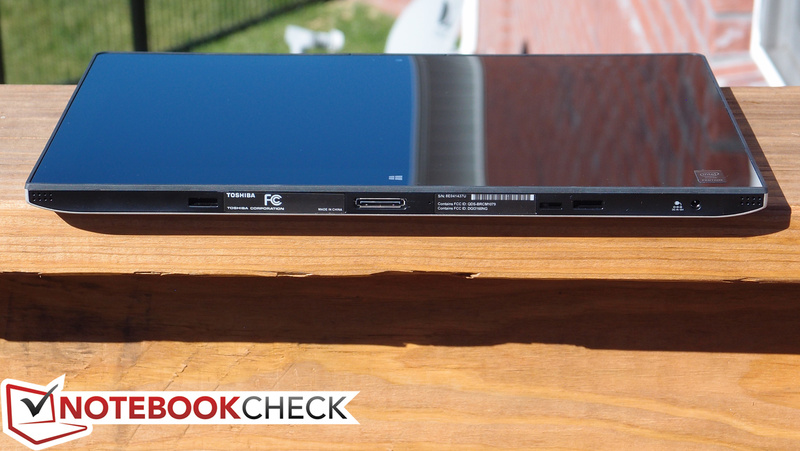 The Toshiba Click 2’s assortment of ports isn’t awful for a tablet, but it’s not amongst the best options, either. We’re provided with a single (full-sized) USB 2.0 port and mini-HDMI out—not bad, though we’d love to have seen USB 3.0 and DisplayPort instead. There’s also an audio jack and an SD card port (also full-sized). Above these are the volume controls and power button. The placement of the ports along the left top side of the tablet is fairly convenient, and they’re spaced such that there should be no issues with crowding. 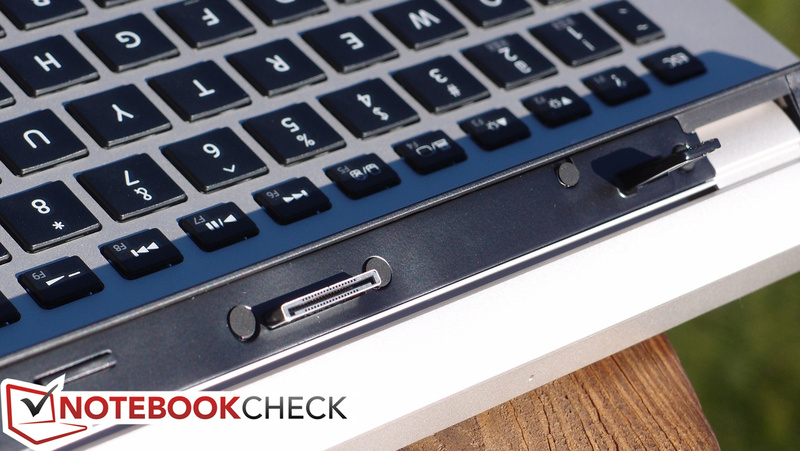 Add the keyboard base and you’ll receive a coveted second USB port, and this one is USB 3.0. The base also features a charging port on the back side, though the tablet can be charged separately via a port on the bottom edge near the docking connector. The Click 2 features an Intel Dual Band Wireless-AC 3160 WLAN adapter, which is a 1x1 model supporting speeds up to 433 Mbps. Signal strength seemed solid enough in our tests, and we had no problems connecting to an ASUS RT-AC68U router. This adapter also includes integrated Bluetooth 4.0 LE. 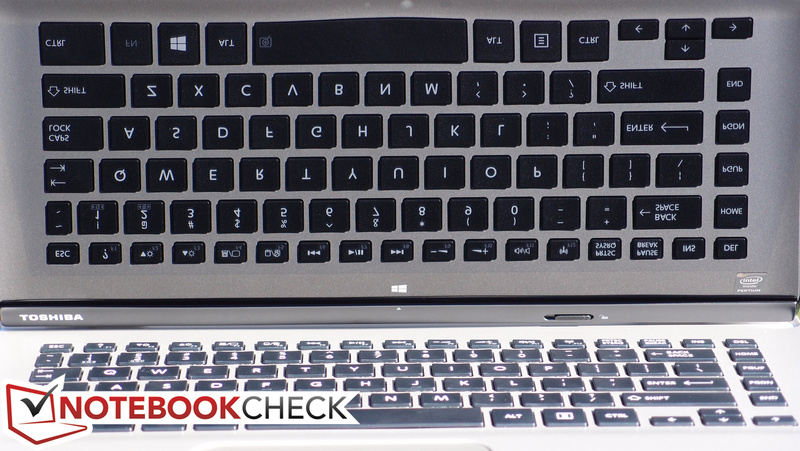 As is usually the case with convertible Ultrabooks, there is no Ethernet port available. 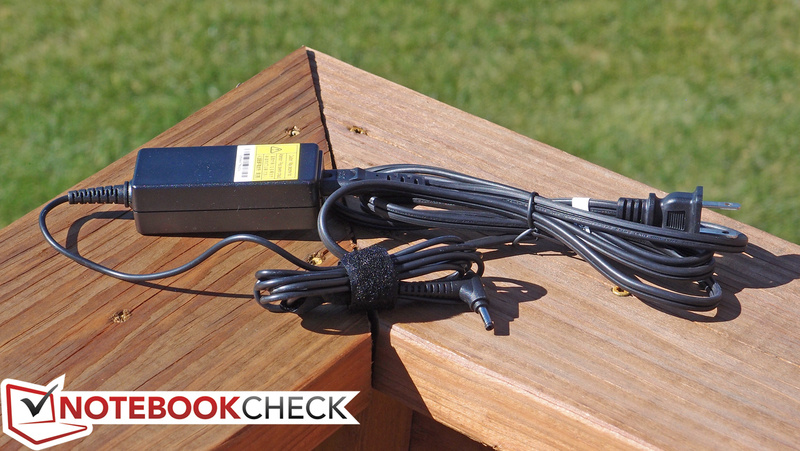 The Toshiba Click 2 comes bundled with merely an AC adapter. Specifically, it’s a highly portable 45 W model weighing in at just 220 grams, and it fortunately provides plenty of cord length. 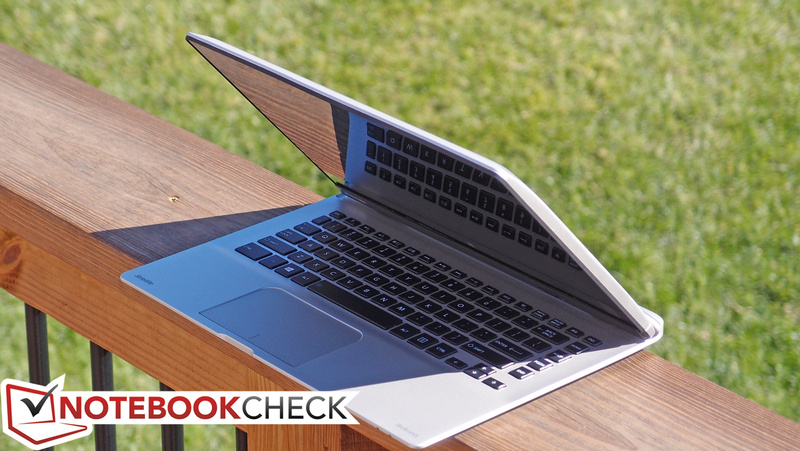 The PC is backed by a 1-year standard depot warranty. The Click 2 comes fully-loaded with software that most users will probably want to remove upon receipt. Some of these include the usual trial security (in this case, it’s Norton), along with a smorgasbord of sponsored apps ranging from huluplus, Netflix, and iHeart Radio to WildTangent Games and even a dedicated hub for additional Toshiba sponsored offers called Deals & Offers. Fortunately, since most of them are merely apps, they don’t bog down the system’s startup however. ...but we have few complaints about the clickpad. 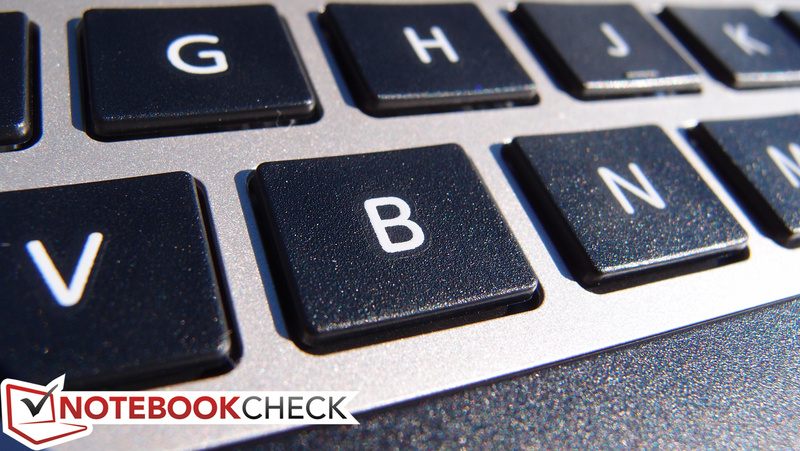 The Click 2’s Chiclet keyboard also left us thoroughly unimpressed. With hardly any travel whatsoever, it’s difficult to discern whether you’ve even depressed a key—even given the good actuation force it requires to operate. The smaller keys, such as the arrow keys and the function/ESC/DEL row, are hampered by a mushy stop that feels inconsistent with that of the primary keys and makes them even harder to operate by touch. 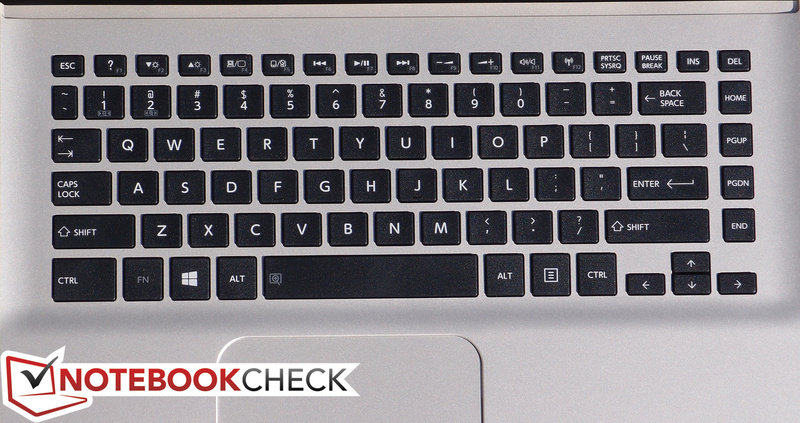 The spacing and organization is familiar to that of other Toshiba keyboards, and with practice, users can adjust to it. Overall, however, the entire affair feels like a serious low-budget afterthought. Thankfully, the touchpad is better. It’s a Synaptics model, and though we’ve yet to prefer integrated buttons to separate physical ones, these are inoffensive and relatively easy to adjust to. Two-finger scrolling works without problems as well, and the surface of the pad is comfortable with a slightly rough texture that promotes easy finger gliding. 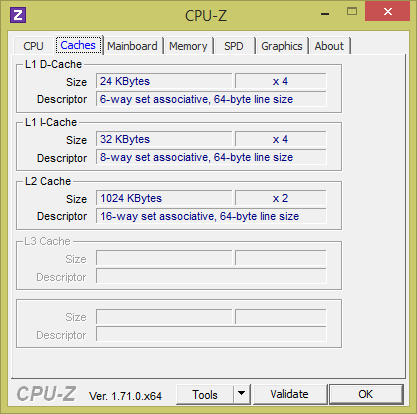 The full array of typical other Synaptics options are available in the driver as well, ranging from pinch to zoom to three- and four-finger gestures. Our only complaint is that movement seems subject to an ever-so-slight delay of perhaps 50 ms that is imperceptible on the best touchpads. 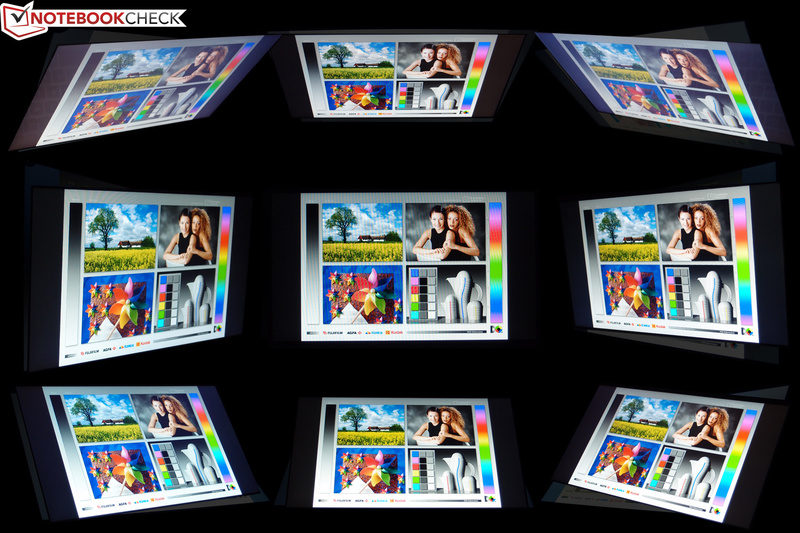 The Click 2’s capacitive touchscreen supports 10 finger input simultaneously. We encountered no problems with it throughout our testing period and, as usual, found that it registered input from all fingers accurately and quickly. 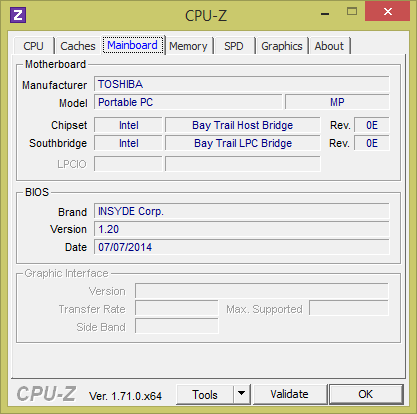 The LCD display found on the Toshiba Click 2 is a 13.3-inch glossy 768p (1366x768) resolution IPS panel. While we’re thankful for the IPS (especially given that this is a tablet as well as a laptop), there is absolutely nothing special about the display otherwise. Subjectively speaking, brightness seems sufficient and contrast is good, though colors appear flat and washed-out. 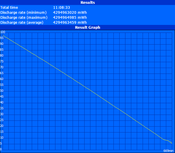 The size and resolution factor out to just 118 PPI. Turning to the math, our scientific measurements revealed a good overall average brightness of 311 cd/m² with a very good brightness distribution of 94.5%. In terms of contrast, the black value of 0.315 cd/m² provides for a positive result of 983:1. These are all good measurements—so why the negative impressions? 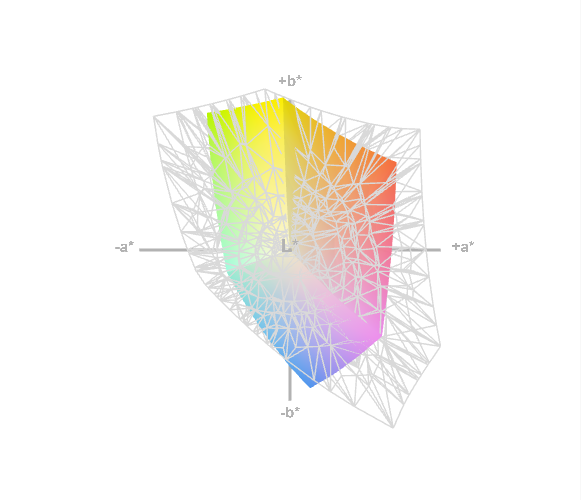 The answer lies in color gamut and accuracy, where the Click 2 leaves much to be desired. 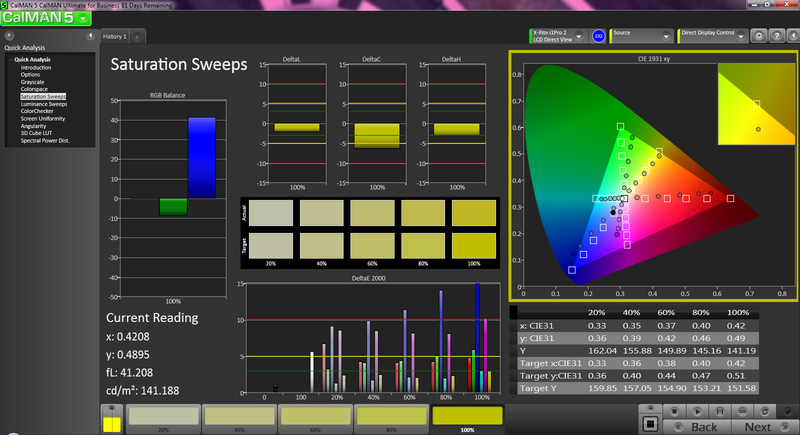 We measured just 54% coverage of the sRGB gamut, which is at the low end of even most budget screens. While this won’t produce any practical problems for anyone not invested in graphic design or photography, it does result in that flat look that we referenced in our subjective observations earlier. CalMAN 5 provides a deeper look at the color results. Total gamma is nearly ideal out of the box at 2.23 (ideal: 2.2) and the CCT Average is just a bit high at 6918 (ideal: 6500), but perhaps more interestingly the overall accuracy truly isn’t that bad, even in spite of the general perceived lack of intensity. Blues and purples are the most deviant, with values up to around 10, but the rest of the palette is acceptable with values below 6. 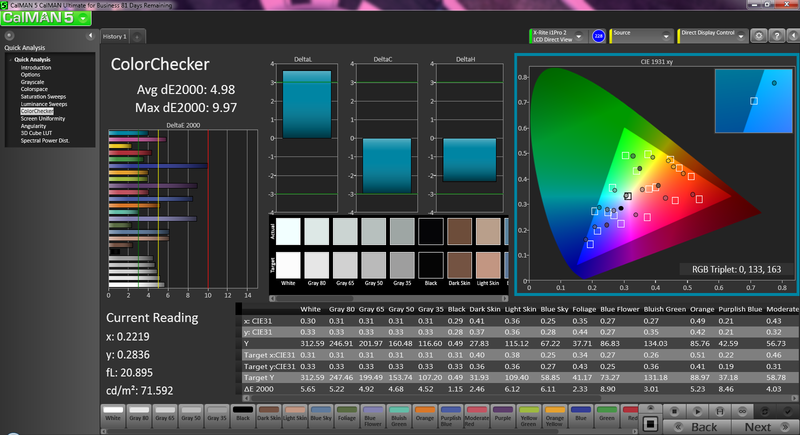 The overall DeltaE ColorChecker average is just 4.98. Outdoors, the machine is usable in shaded areas, but in the sun, the high-gloss screen unsurprisingly yields challenges. This is compounded by the bouncy hinge, which produces obstructive dancing reflections as typing or tapping occurs. Thanks to the IPS panel, the viewing angles are very good, however. 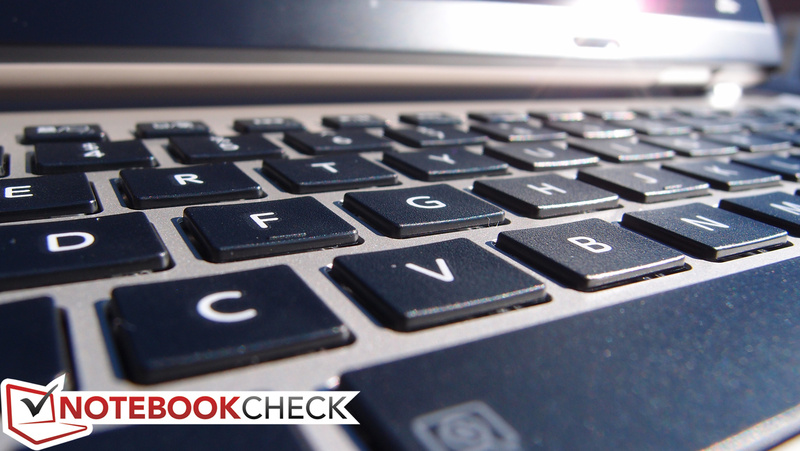 The Click 2 Pro packs an Intel Core i7-4510U CPU, but it’s also actively-cooled as a result. In contrast, the Click 2 is passively cooled (and thus silent), but sacrifices in the realm of chipset, and consequently performance, were required to accommodate this fanless design. 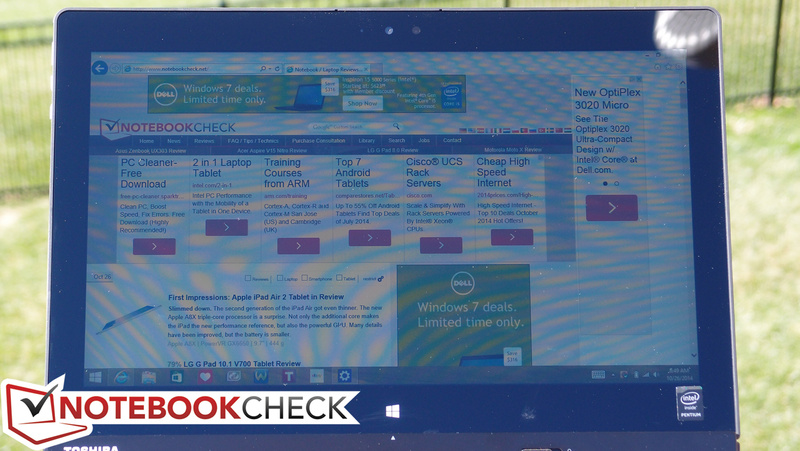 Unfortunately, this is immediately evident, as the Click 2’s general performance simply can’t manage to keep pace with modern Ultrabooks and even many tablets. 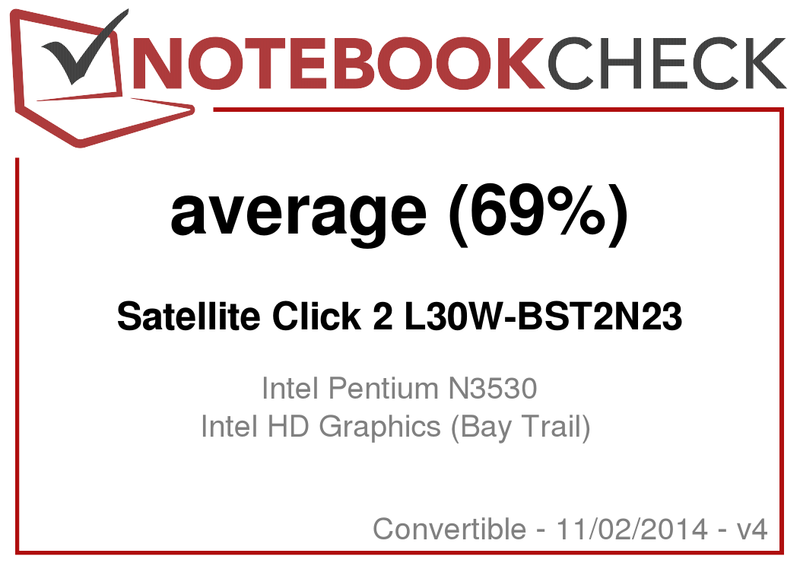 Part of the reason is the CPU: although the Pentium N3530 (which runs at 2.16 – 2.58 GHz) is no pushover by any means in the world of passively-cooled SoCs, it’s still nothing compared to the Core i7 that the Click 2 Pro features, or the 15 W TDP Core i5/i7 CPUs which dominate most of the Ultrabook world either for that matter. 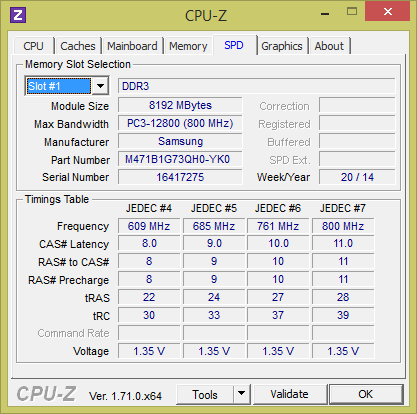 Having said that, one area which is certainly not bottlenecked is that of memory: flexing 8 GB of DDR3L RAM (at 1600 MHz), the Click 2 has enough to suit just about anyone’s needs. On another positive note, we found no differences in performance between operations on AC power and those unplugged; a subsequent run of 3DMark 11 produced a result (P265) nearly identical to that of our original result (P264). 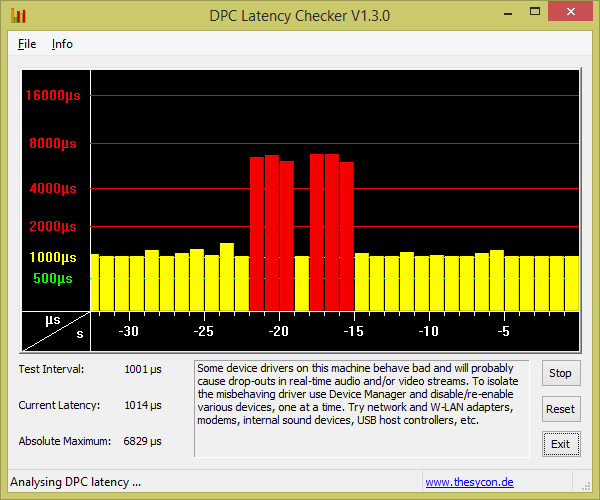 On the other hand, DPC Latency Checker reported latencies above 5800 µs (after a 1000 µs downward adjustment is performed to compensate for Windows 8’s kernel timer discrepancies when using the tool). This suggests likely dropouts at irregular intervals during the streaming of some real-time audio and video. Disabling wireless and Bluetooth did nothing to correct the problem. 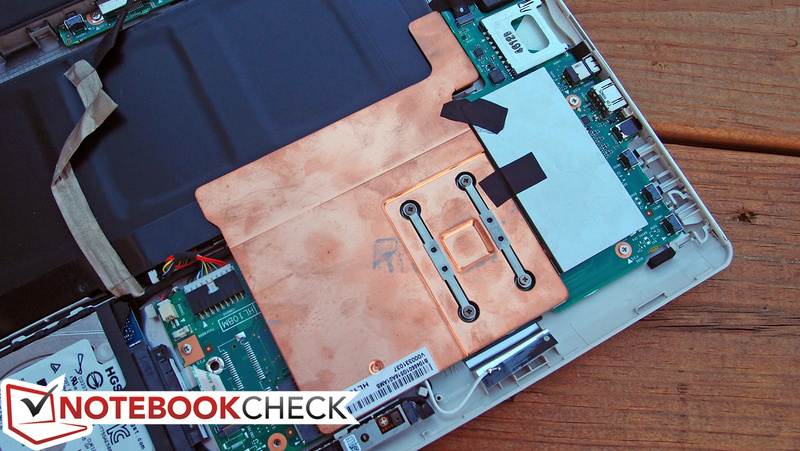 With a base clock rate of 2.16 GHz and a burst frequency of 2.58 GHz¸ the Click 2’s Pentium N3530 SoC is a reasonable choice for fanless tablets. It’s far quicker than the Intel Atoms of yesterday and can provide performance much more comparable to that of a full-blown notebook. 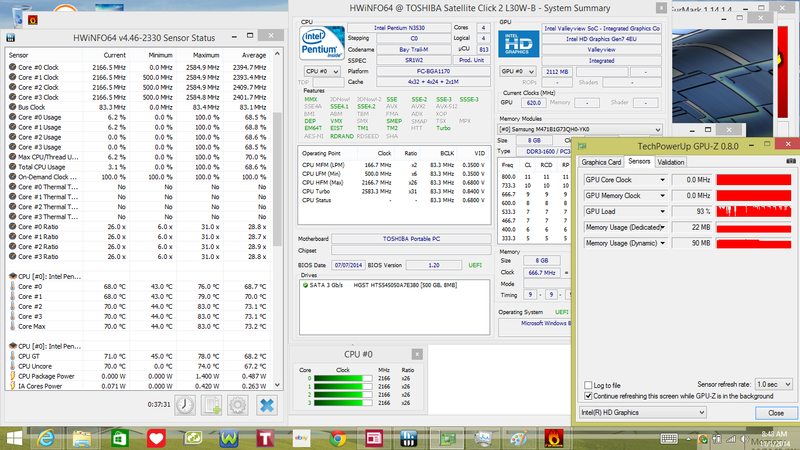 Thanks to its TDP of just 7.5 W (SDP 4.5 W), it’s well-suited for low-power tablets like this one. 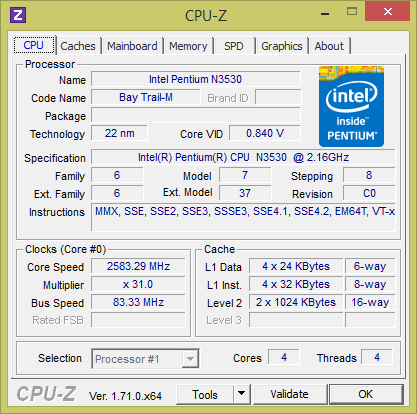 The Pentium N3530 is a quad-core SoC hailing from the Bay Trail-M platform. Its performance is probably most comparable to that of the AMD Kabini APUs A4-5100 and A6-5200—someplace in the middle to be precise. Our flurry of related benchmarks place the Click 2’s CPU performance just about in line with most other identically-equipped models. For instance, the Click 2 scores an 1875 in 3DMark 11 Performance Physics, which is nearly equal to the Akoya S6213T’s 1890, the HP 14-r003ng’s 1834, and the Acer Aspire V3-111P-P06A’s 1823. Meanwhile, though the Aspire keeps up, in the Cinebench tests, the Akoya S6213T dwindles under multicore performance metrics (Cinebench R15 xCPU 64-bit: 120/105, Cinebench R11.5 xCPU 64-bit: 1.83/1.7). As we alluded to above in our Performance introduction, the Click 2 unfortunately seems rather sluggish in general operation. Synthetic performance tests reinforce this observation: we recorded just 1686 and 1445 in PCMark 7 and PCMark 8 V2 Home respectively—scores which are but a mere fraction of that of more powerful tablets and Ultrabooks. As compared to the Dell Venue 11 Pro 5130 (which features a thoroughly mediocre Samsung eMMC storage solution), for instance, the PCMark 7 score of 1445 is 45% below the Venue’s score of 2665. Naturally, the Microsoft Surface Pro 3 absolutely stomps them both with a score of 5066 due to its comparatively blazing Hynix mSATA SSD. Storage isn’t the only item in play here, but it seems to be the primary culprit for the Click 2’s sluggish performance. Speaking of which, the Click 2’s storage device is a Hitachi Z5K500 conventional mechanical hard drive (7 mm height)—a cheap solution to facilitate greater storage capacity for sure, but also a costly one in the way of performance. 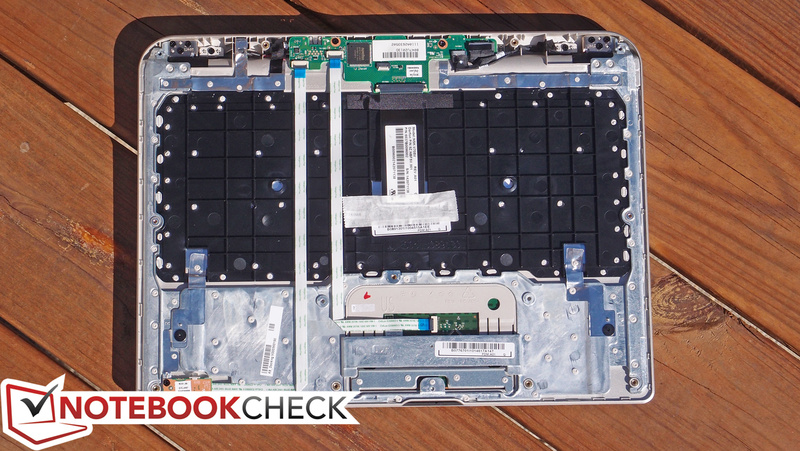 This is far from the fastest hard drive on the market, and furthermore, its inclusion in a tablet means that—in spite of efforts to detect sudden drops and bumps by way of an accelerometer—it’s far more prone to reliability issues. Considering the abundance of increasingly cheaper solid-state storage solutions available today, it’s unlucky that we’re forced to deal with such a handicap in an otherwise relatively capably-equipped tablet. The effects are undeniable; PCMark 8 reports a Storage score of only 1688, whereas HD Tune recorded a Transfer Rate Average of just 77.4 MB/s. 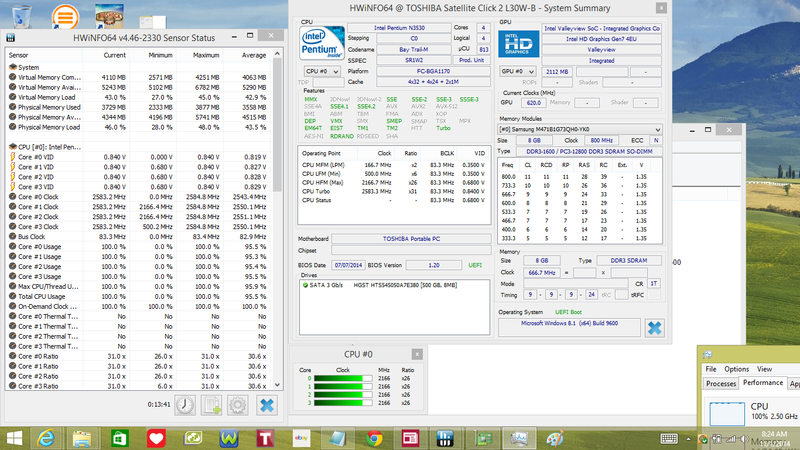 Even the Dell Venue 11 Pro’s slow eMMC solution manages 104.3 MB/s in this same metric, and as usual, the Click 2’s CrystalDiskMark 3.0 4K QD32 read/write speeds of 0.317 and 0.7 MB/s respectively are a distant cry from the Venue 11 Pro’s 29.58 and 13.6 MB/s. This is why the device feels so slow; even when its CPU can keep up with the task at hand, the hard drive is among the slowest of those available in any mainstream unit today. For what it’s worth, although it’s a little bit tricky for those not familiar with computer repair and upgrades, exchanging this drive for a 2.5-inch solid-state drive is entirely possible. 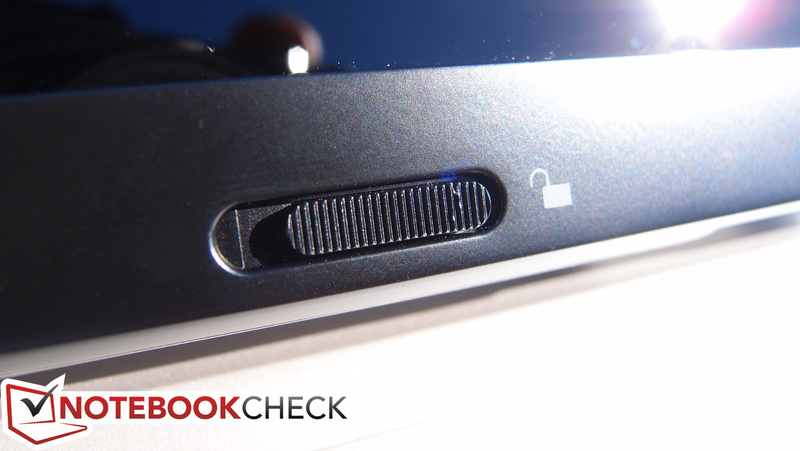 Doing so should vastly improve the overall performance of the Click 2. 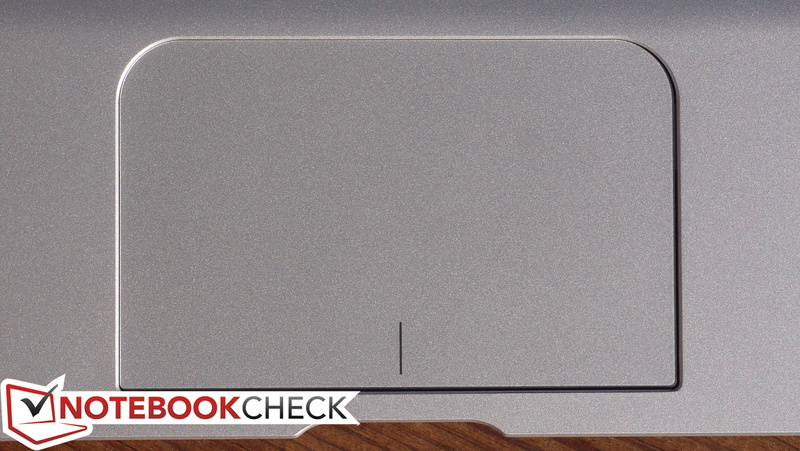 Passively-cooled devices just aren’t meant for graphical heavy-lifting, and so it should come as no surprise that the Click 2 suffers appreciably here. Its 3DMark 06 and 11 scores of 2088 and 264 specifically comprise the prelude, while the 3DMark Cloud Gate score of 1564 isn’t even mentionable in the same breath as that of any actively-cooled machine. Take the Microsoft Surface Pro 3 again for example, with scores of 5640, 877, and 4146 in those same benchmarks. 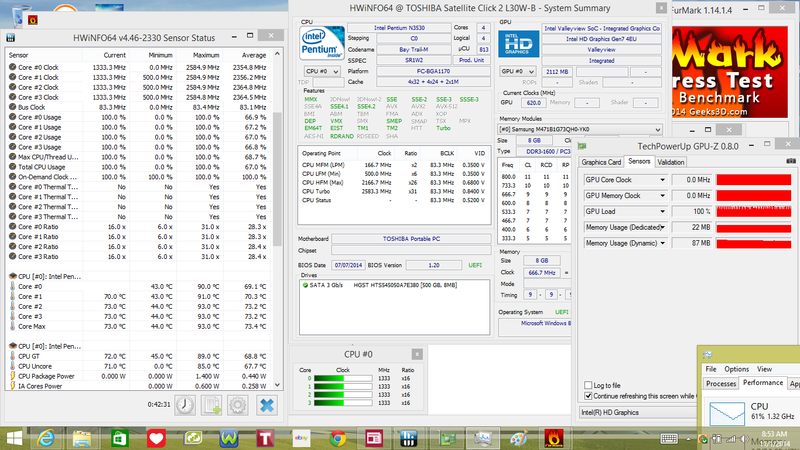 Still, the Click 2 manages to pull off an upset when pitted against Dell’s Venue 11 Pro 5130 (3DMark 06/11: 1848/212), which experienced considerable GPU throttling in our stress testing. Naturally, this still doesn’t bode well for gaming. To illustrate, we tested the Click 2 with BioShock Infinite, which it couldn’t even manage to run fluidly on the lowest possible settings and a resolution of only 1024x768. 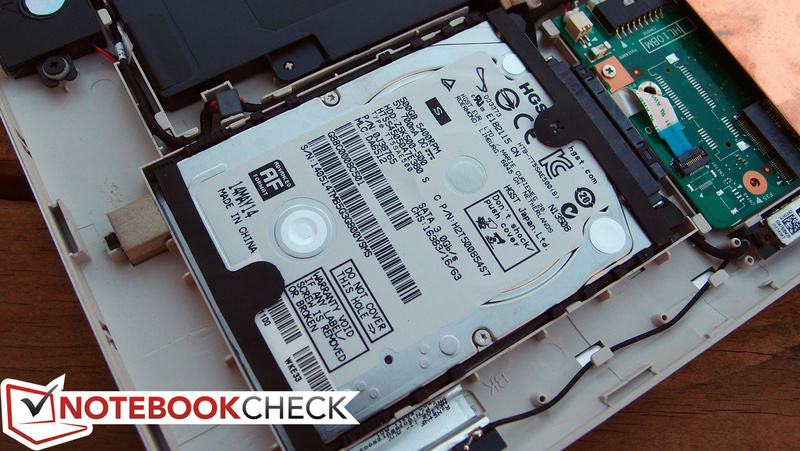 The Toshiba Click 2 is a fanless (passively-cooled) device, and as such, apart from the subtle ticks of its internal mechanical hard drive, it is a completely silent device. 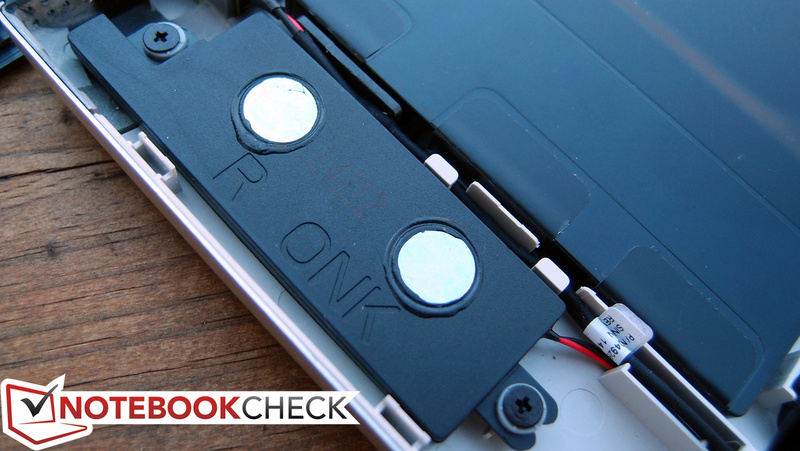 Although the device does warm up notably under load, the Click 2’s aluminum rear casing does a good job of spreading and dispersing the heat, resulting in an overall high temperature just 45.4 °C in the center top of the screen of the tablet and averages of just 37 °C and 34 °C on top and bottom, respectively. 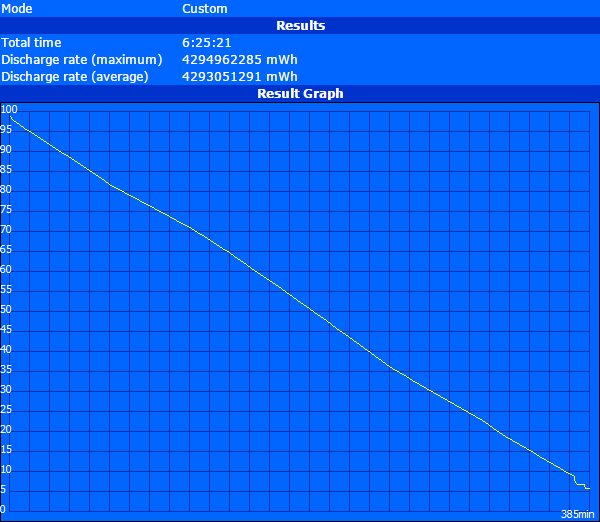 While idle, the machine keeps its cool, at just 34 °C / 33 °C (average top/bottom). The hottest point under these conditions is beneath the touchpad, which reached a slightly warm 36.2 °C during our testing. (±) The average temperature for the upper side under maximal load is 36.8 °C / 98 F, compared to the average of 30.3 °C / 87 F for the devices in the class Convertible. (±) In idle usage, the average temperature for the upper side is 33.9 °C / 93 F, compared to the device average of 30.3 °C / 87 F.
For our stress testing, we utilize Prime95 (for CPU stress) and FurMark (for GPU stress). 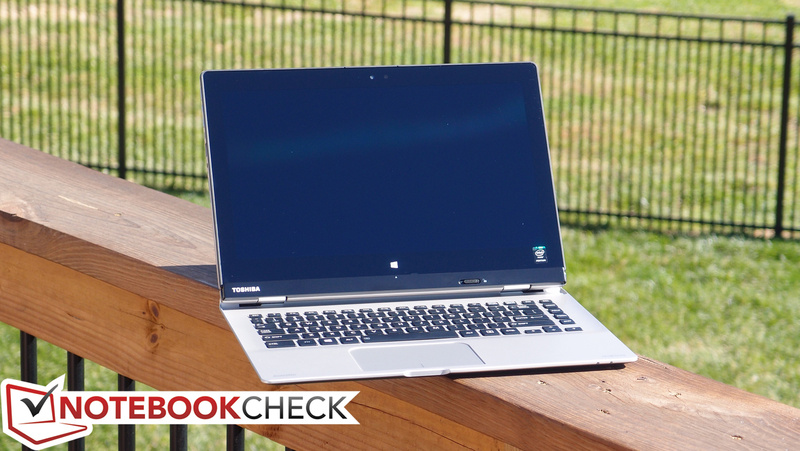 We rarely expect low-power devices like the Toshiba Click 2 to excel in these trials, but it is nonetheless helpful to gauge their level of tolerance to heavy workloads to obtain an idea of how versatile the device really is. During our full CPU stress test, the Click 2 first managed full burst frequencies (2.58 GHz) across all cores before eventually toggling back and forth between its base frequency (2.16 GHz) and burst frequency for the duration of the test. This toggling began around ten minutes into the stress period. As for GPU stress, the Click 2 first manages to maintain full burst frequencies of 860 MHz consistently, before eventually (after around that same period of time) toggling between 620 MHz and 860 MHz. Temperatures at this point are around the 70 °C mark. Lastly, full system stress (CPU and GPU) quickly brings the system to its knees, though the initial performance is respectable for a tablet. Although GPU clock rates appear to remain steady at above the 620 MHz mark, the CPU in return throttles all the way down to the 500 MHz mark before stair-stepping its way back up to 1.8 GHz. 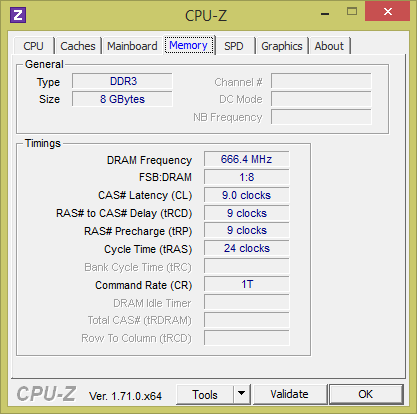 The system remains in a permanent throttle state with CPU clock rates below 2.0 GHz at all times. 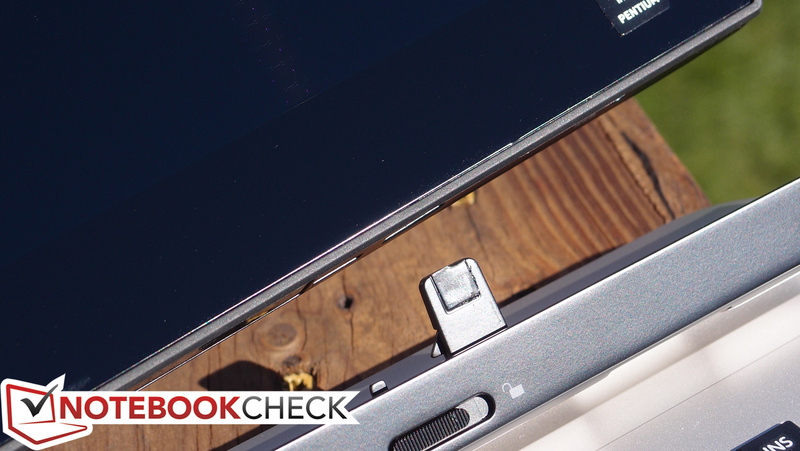 This is hardly surprising given the fanless design of the tablet. The Click 2’s speakers are loud enough, but the shape of their sound is heavily weighted toward the higher frequencies, crushing the lows into an often unintelligible mass of midrange approximations. Realtek provides equalization functionality with lots of presets in their driver software, but none of it rescues the sound to the point where it’s consistently pleasant. The problem is exacerbated by the positioning of the speakers: they’re located on the back of the tablet lid at the crest of the curved outer portion of the sides. This works fine when the tablet is resting on a flat surface, which helps to reproject the sound back toward the user. But when the tablet is being held, or when it’s docked on the keyboard base, the speakers are either at risk of being covered or firing directly away from the user. It’s a strange design. For battery measurements, we performed our usual tests: one under heavy synthetic load and high brightness (Classic Test), one under minimal load, lowest brightness, Power Saver profile, and wireless radios off (Readers Test), and finally, a test where we simulate web surfing traffic at medium brightness (150 cd/m²). For the heavy load Classic Test we recorded 3 hours and 2 minutes of runtime, which is a fairly typical result for low-power devices. 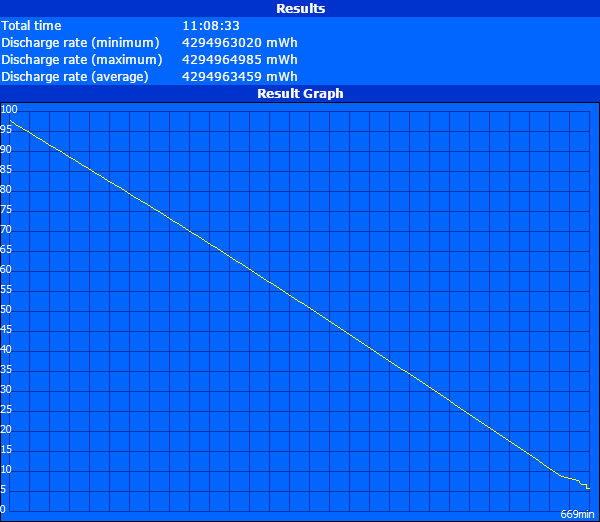 Meanwhile, under minimal load (Readers Test), the machine lasted for 11 hours and 9 minutes. The final test, our Surfing with Wi-Fi test, provides the most useful approximation of real-world battery life. 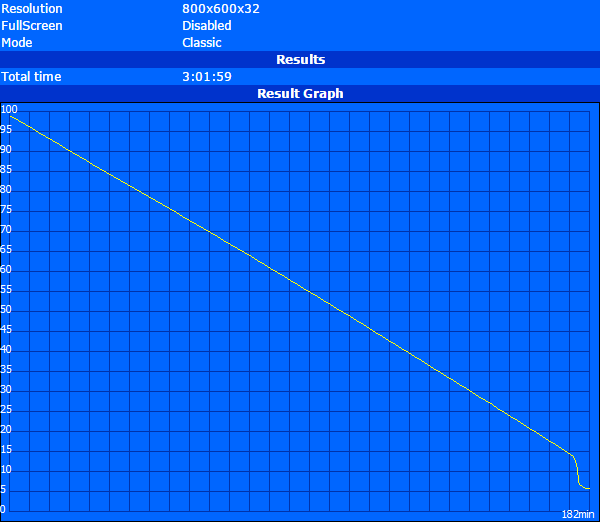 Here, the Click 2 managed 6 hours and 25 minutes before shutting down. 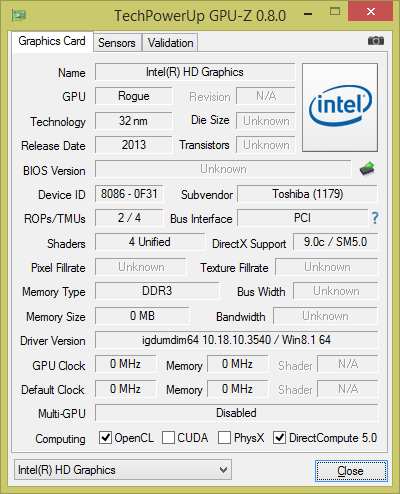 While these results might sound good, we have to take into account the fact that the machine does not feature a fan and that it’s only running on a 7.5 W TDP CPU. That isn’t to say that it’s bad, but consider this for perspective: the Dell Venue 11 Pro 5130, with its 1080p panel, manages 9 hours and 10 minutes of life in this same test. It’s true that the screen on the Click 2 is a couple of inches larger, but it also manages to include a much larger battery—45 Wh vs. 32 Wh on the Venue 11 Pro. For another example, take a look at the Microsoft Surface Pro 3, which is in fact actively cooled, and which yet again features a much higher-resolution panel. Even it ekes out 8 hours and 24 minutes of web surfing—two hours more than the Click 2, and with a much faster CPU, to boot. Everyone wants on the detachable convertible/multi-mode bandwagon, and Toshiba hopes that their revised Click 2 series will earn them a spot. Sure, it’s attractive, functional, and quiet—not to mention relatively cool under load. 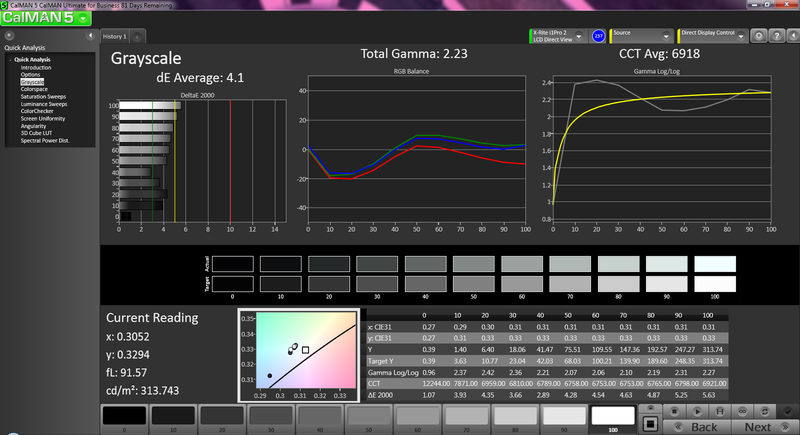 The screen’s also relatively bright with good contrast and reasonable color accuracy for a budget machine—albeit still flat in appearance thanks to narrow coverage of the sRGB gamut. But sadly, that’s where the positives end. After spending some time with the device, its inadequacies swiftly overshadow its strengths. To start with, although over six hours of battery life in general use is acceptable in a practical sense, it’s comparatively subpar when viewed alongside most competitors’ offerings. This is in spite of a weak application performance showing primarily thanks to a very slow 5400 RPM mechanical hard drive—an odd choice for a tablet to be sure. The device struggles to be appealing even under basic use thanks to a poor keyboard which feels like a cheap afterthought—not to mention the cumbersome docking routine and bouncy hinges. Topping it all off, it’s just plain big and bulky compared to modern tablets and ultraportables, packing a total weight which is 30–50% more than nearly every close competitor. This laundry list of negatives might still be partially forgivable if the price was right—but even taking into account the $70 discount off MSRP that is currently being offered, the cost is still $629—hardly cheap by today’s standards, though everything about the Click 2 screams budget PC. By contrast, for a couple hundred bucks more, you can pick up a Dell XPS 12, and a couple hundred bucks more than that will score you a Microsoft Surface Pro 3—both of which are excellent options depending on your intended use. For a passively-cooled alternative, the Venue 11 Pro is also only marginally more expensive, and yet it features far better battery life, superior design, and a more manageable weight. Put another way, while they’re pricier, none of those options carries the massive compromises that define the Click 2. 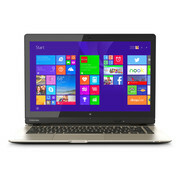 If the cost is just too much, you’re simply probably better off stepping down to a conventional touchscreen notebook (if touch is a requirement), or—perhaps better yet—springing for a traditional budget PC without touch, a category where the prices are low and the options are endless. Money can’t buy you happiness, but in the category of convertible PCs, you just won’t find a great option without a good bit of it. 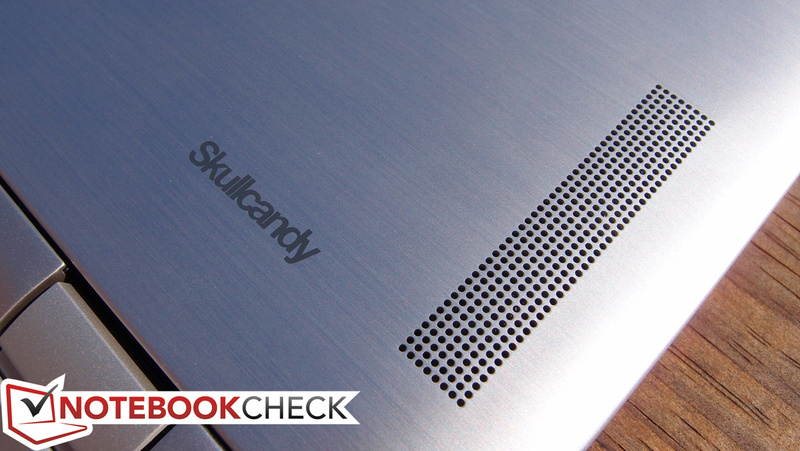 The sleek brushed metal makes a good first impression. 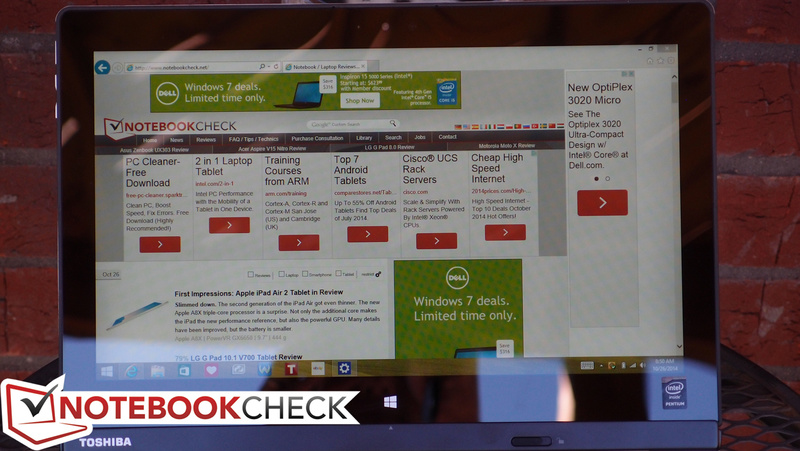 As is always the case with such tablets, the screen is incredibly reflective. These speakers leave a lot to be desired. ...which attaches via these clips. Afterward, you're left with a very heavy tablet. Unfortunately, the keyboard on the base is not very good. ...is practically nothing of use. However, the tablet provides an opportunity to replace the slow hard drive.